The church is located near the corner of Douglas and 75th St. Use the map below to get detailed directions. 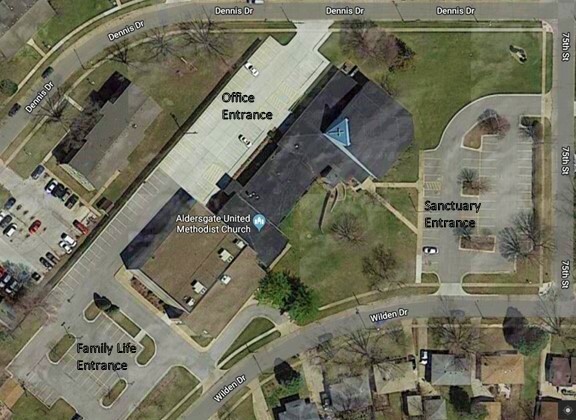 On Sunday mornings the sanctuary entrance, office entrance and Family Life Center entrance are open. During office hours, when no other events are scheduled, please use the office entrance. Our Family Life Center includes the gymnasium, fellowship hall and youth room.